SHANGHAI/HONG KONG (Reuters) - The U.S. government has moved to block China Mobile (HKSE:0941.HK - News) from offering services to the country's telecommunications market, recommending its application be rejected because the firm posed national security risks. The move by President Donald Trump's administration comes amid growing trade frictions between Washington and Beijing. The United States is set to impose tariffs on $34 billion worth of goods from China on July 6, which Beijing is expected to respond to with tariffs of its own. The Federal Communications Commission (FCC) should deny the state-owned Chinese firm's 2011 application to offer telecommunication services between the United States and other countries, the National Telecommunications and Information Administration (NTIA) said in a statement posted on its website. "After significant engagement with China Mobile, concerns about increased risks to U.S. law enforcement and national security interests were unable to be resolved," said the statement, quoting David Redl, assistant secretary for communications and information at the U.S. Department of Commerce, which NTIA is part of. 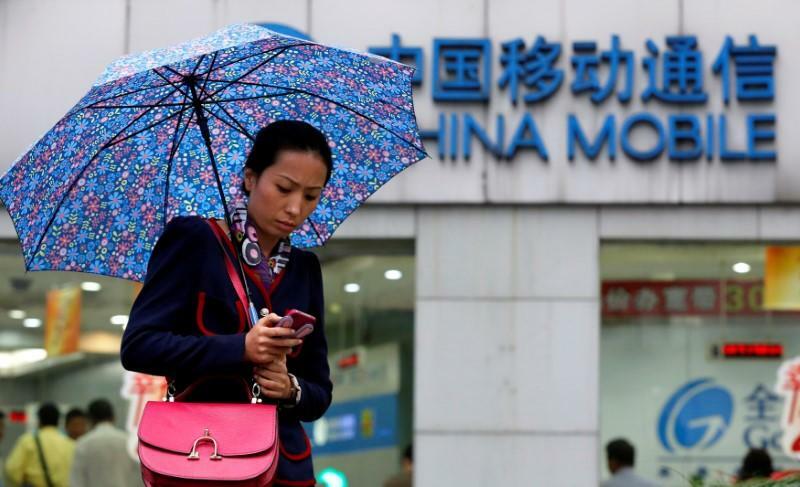 China Mobile, the world's largest telecom carrier with 899 million subscribers, did not immediately respond to Reuters' request for comment on Tuesday. However, Chinese foreign ministry spokesman Lu Kang, in response to a question about China Mobile at a daily briefing, said: "We urge the relevant side in the United States to abandon Cold War thinking and zero sum games." China always encourages its companies to operate in accordance with market rules and to respect the laws of the countries it operates in, he said, adding the United States should stop putting "unreasonable pressure" on Chinese firms. Another Chinese firm that has been caught in the crosshairs of the trade spat is ZTE Corp (Shenzhen:000063.SZ - News) (HKSE:0763.HK - News). China's No. 2 telecommunications equipment maker was forced to cease major operations in April after the United States slapped it with a supplier ban saying it broke an agreement to discipline executives who conspired to evade U.S. sanctions on Iran and North Korea. IMPACT ON CHINA MOBILE "VERY TINY"
The impact of the ruling on China Mobile's business is "very tiny", said Ramakrishna Maruvada, a Singapore-based analyst with Daiwa Securities. "This doesn't move the needle." China Mobile shares closed down 2 percent on Tuesday, their lowest close in more than four years, after news of the NTIA recommendation to block the firm's U.S. entry. It said the company was "subject to exploitation, influence and control by the Chinese government" and that its application posed "substantial and unacceptable national security and law enforcement risks in the current national security environment". Such concerns, however, are not deterring China's Xiaomi Corp (:1810.HK) which is set to press ahead with plans to enter the United States next year, saying its U.S. connections should help it skirt political resistance.